Hubley Phillips & Williams, PLLP is a full-service Certified Public Accounting firm licensed in Montana. Their services include accounting, bookkeeping, IRS representation, payroll services, taxation, QuickBooks consulting, and more. 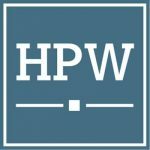 Work For Hubley Phillips & Williams, PLLP? Claim This Page.